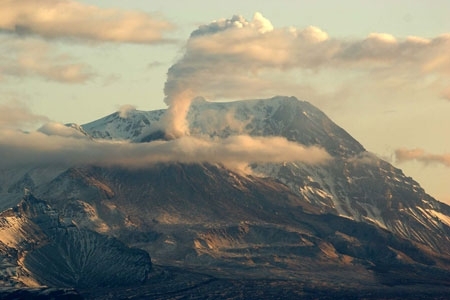 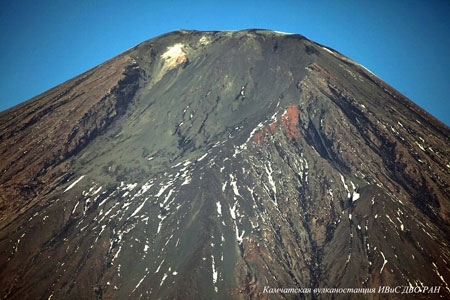 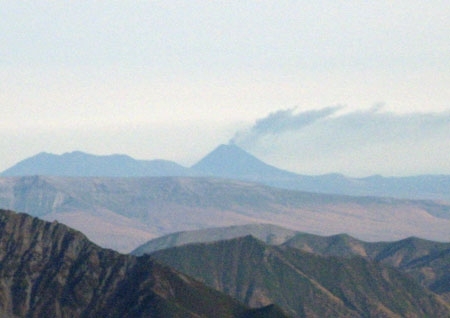 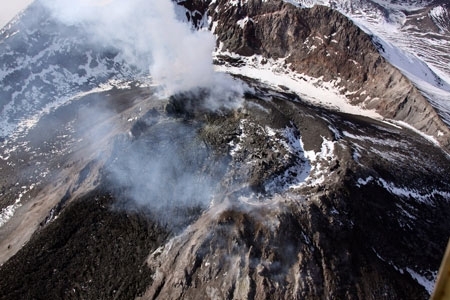 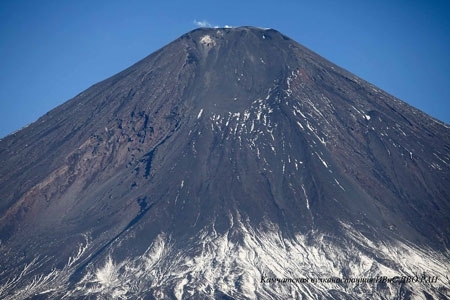 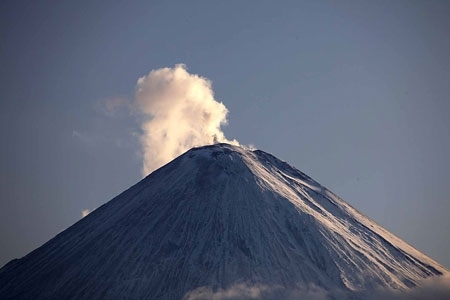 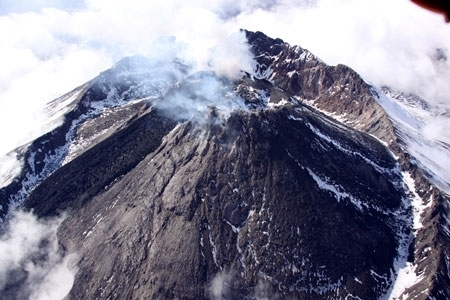 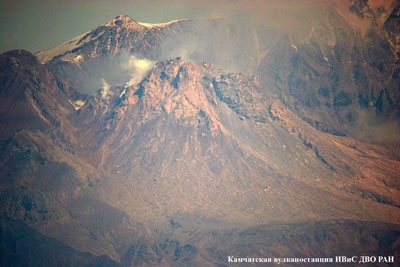 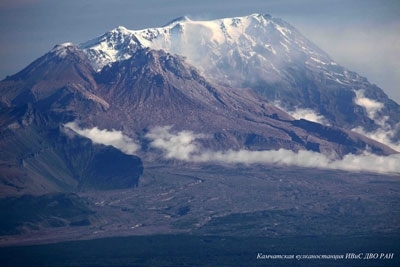 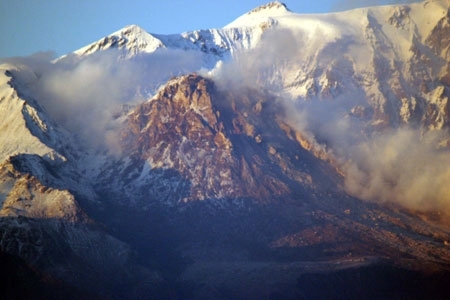 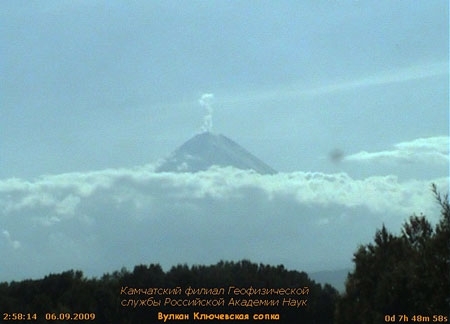 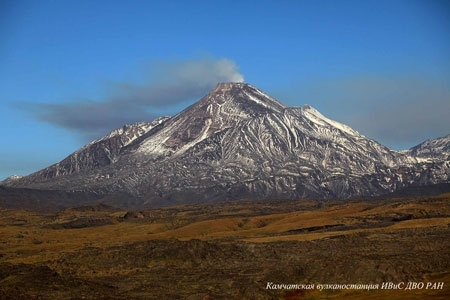 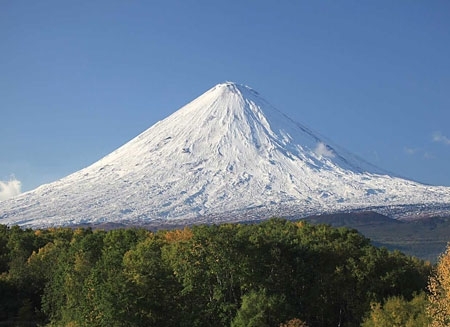 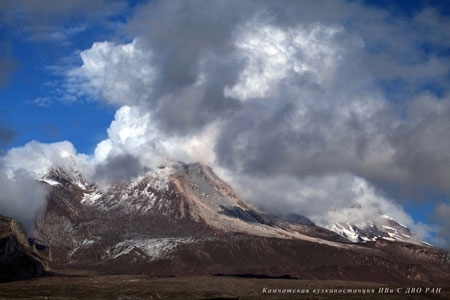 State of Klyuchevskoy volcano on September 18, 2009. 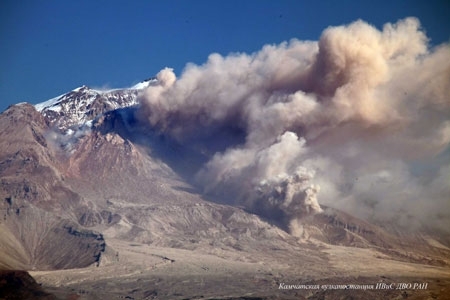 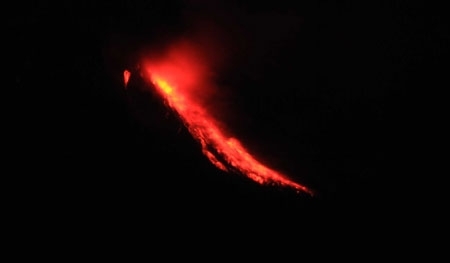 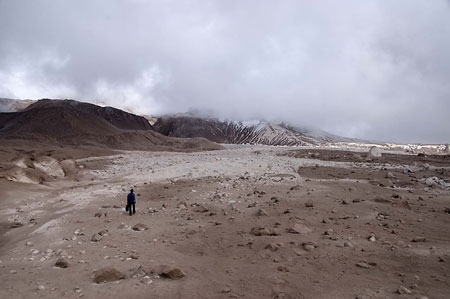 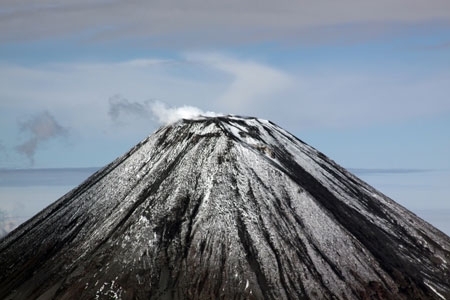 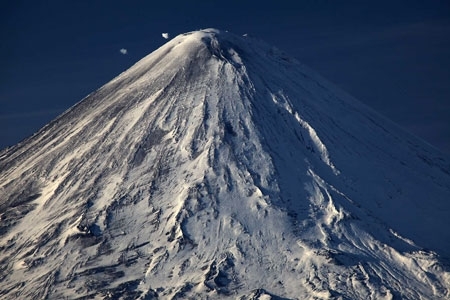 Hot avalanches at the dome of Sheveluch volcano in the night time on September 16, 2009. 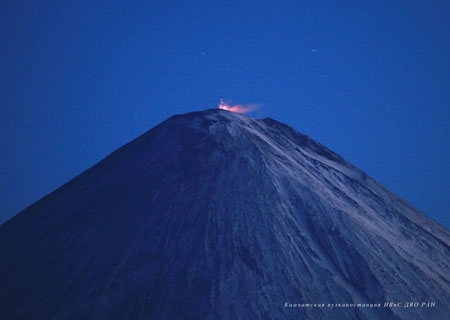 (in infra-red regime). 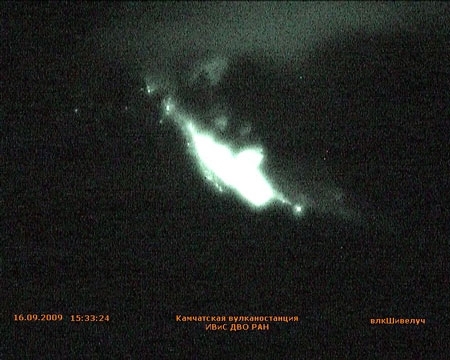 Videodata of IVS FED RAS. 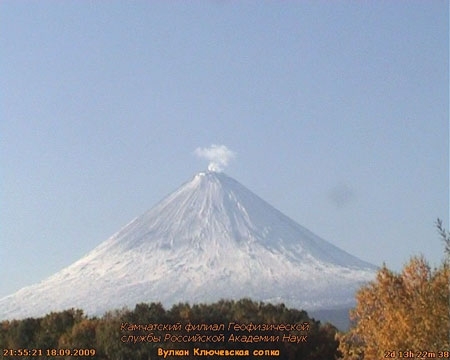 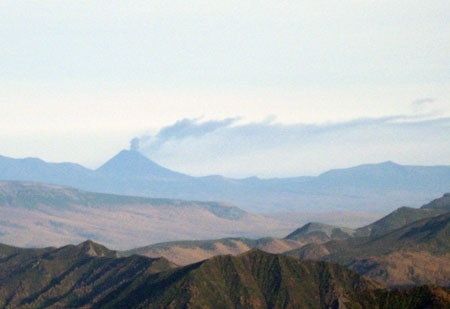 State of Bezymianny volcano on September 05, 2009.